Gallo: Gov. Perry! I'm From Brooklyn and I'm wearing a cowboy hat! Let's Take A Picture!" Gov. Perry: "You're from Brooklyn? Hell yeah, let's take a picture!" If anyone attended or saw the Friday 9:00 AM CPAC speech for Texas Gov. Rick Perry, they probably walked in to the main ballroom tired. But they left hyped for this upcoming midterm year and 2016 presidential races. A wildcard contender for 2016, Perry talked about the relationship between the states and the federal government. The theme for his short and fiery speech - “it's not too late, America” - reminded conservative that we are here "to not accept recent history, we just need to change the presidency". Perry’s tenure Texas, where he has served as governor for over a decade, is a perfect example of success of electing the “right” kind of leader. "We cut taxes, we didn't spend all the money. We made predictable regulations. We created 30% of the nation's new jobs, and as a result, Texas has an economic boom of monumental proportions." Perry also praised Republican governors, singling out Nikki Haley of South Carolina, Bobby Jindal of Louisiana, Scott Walker of Wisconsin, and Rick Scott of Florida, who each oversaw economic growth through conservative policy. Contrasting the success of the red states with two big blue states of implementing the tired "old recipe of backbreaking taxes and regulations that are larger than a 30-ounce big gulp”, a direct shot at former NYC Mayor Michael Bloomberg’s “nanny-state” legacy and New York. Perry ended his speech discussing with federal government, reminding everyone how Washington is acting unconstitutionally with disregard for the will of the electorate. “Nowhere does it say Congress has the right to federalize healthcare. We must elect the right kind of leaders to represent us, ones who believe in free market, not big federal government". “It belongs to you--my fellow conservatives, the future of the nation is upon you!, you have the power and you can help America be great again!" Where was this Rick Perry in 2012?!? His fire and passion would have definitely gone a long way in winning him the GOP nomination. 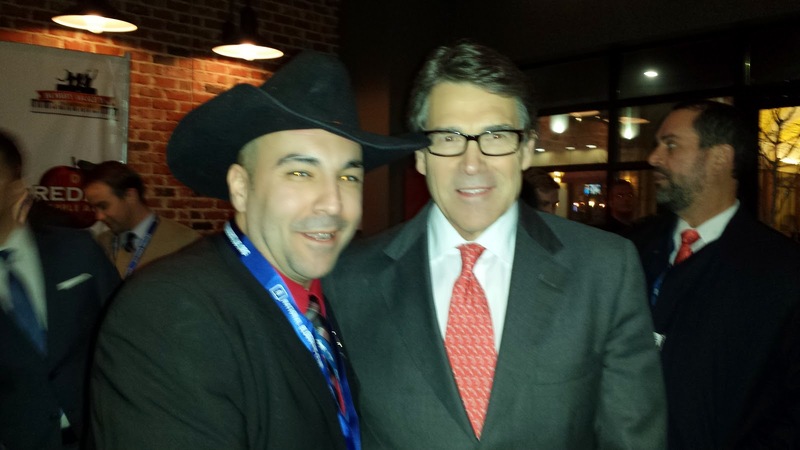 Perhaps the fact that Perry is retiring as Governor within a year’s time, this one last fiery stand on the big stage at CPAC will get people talking about a 2016 presidential run. If this Rick Perry shows up, that’ll make things interesting.